Welcome! CLICK here to follow me on Instagram for the latest news and specials. Also, you can sign up on my mailing list below! 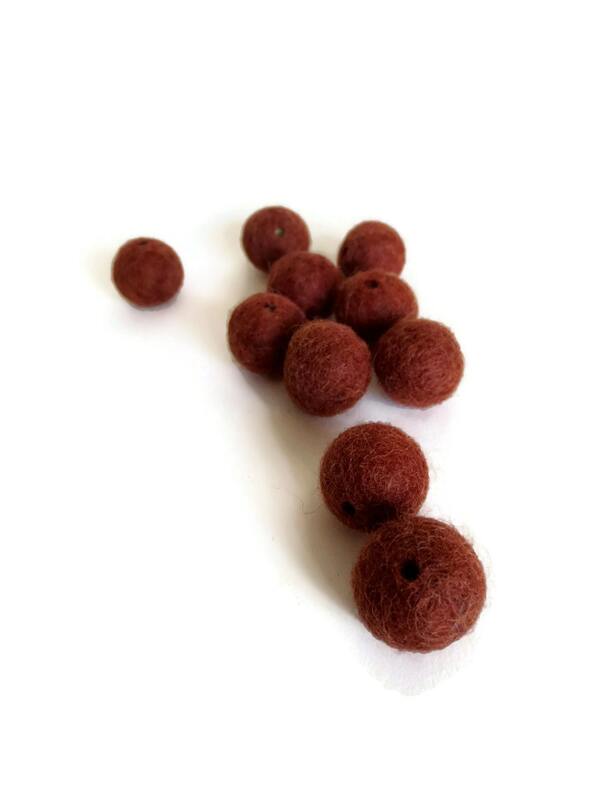 red brown felt beads with holes - 10 pack. 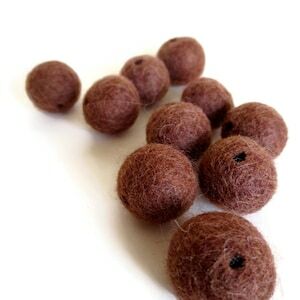 handmade wool felt, choose size: 13, 20 or 25 mm. 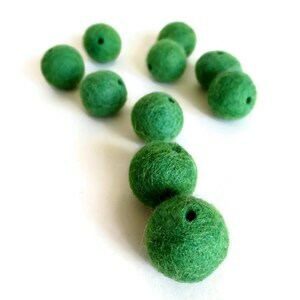 these beads are great for so many crafting purposes. 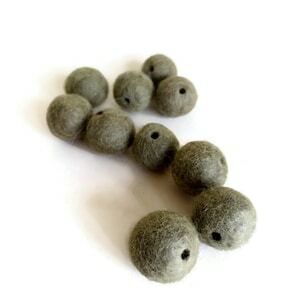 Also great for crafting with children, since they already have holes (most felt beads don't) and can be strung with a blunt-tip needle. 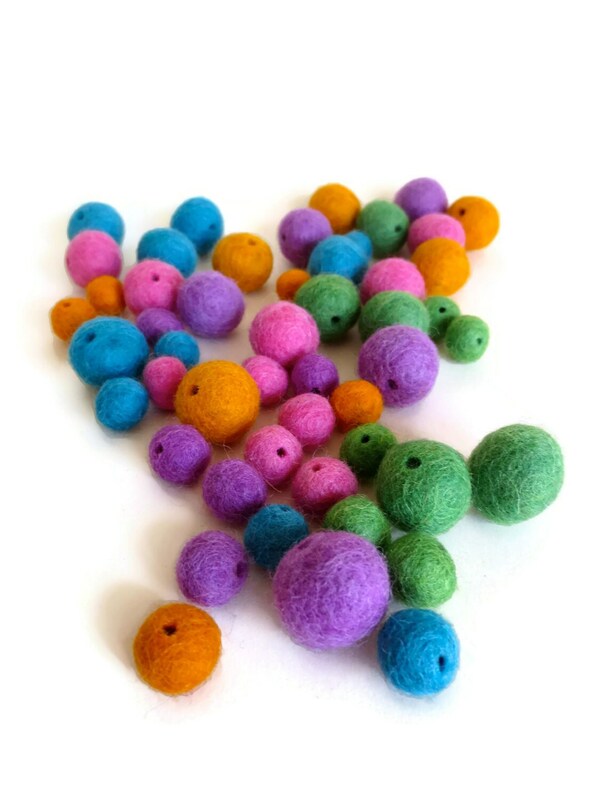 Stringing these beads helps kids develop fine motor skills, make something pretty and have fun! Items ship after payment is received and funds are cleared. If your order contains some made-to-order items, your complete order will ship according to the time noted in the listing. I ship to the address you specify on the etsy checkout page even if your paypal address is different from this. so please let me know as soon as possible, if you want me to ship to a different address than you have specified at checkout on Etsy. Your happiness is of the utmost importance to me! If you are dissatisfied with anything you purchase from me, please contact me before leaving neutral or negative feedback. I want you to be happy and will do my best to make sure you have a positive experience! 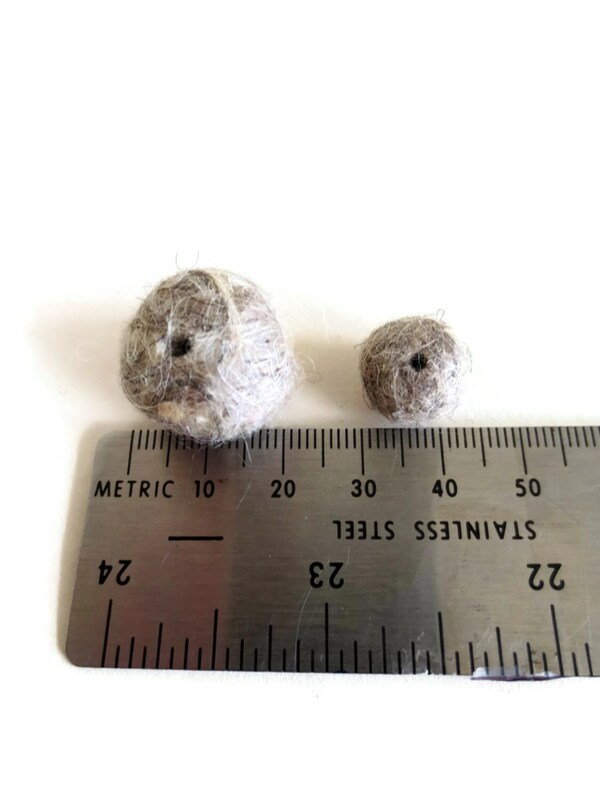 Should you wish to make a return, please contact me promptly, with the item in original condition for a refund or exchange (sorry, I cannot refund or pay for return shipping). Digital downloads - contact me if you have an issue with your download. Some special, limited edition, or custom yarn. Listings which state "Final Sale"
I try hard to make sure my photos capture the color of my items accurately. I also describe the colors in the description for a richer sense of the look of the item. That said, monitors do differ, sometimes brightness is turned up or down and this may account for a difference in the photo and the actual item. My yarn and fiber is hand dyed individually by me. I don't have "dye lots" in the traditional sense. I do create several skeins at a time which can be used seamlessly in a large project. 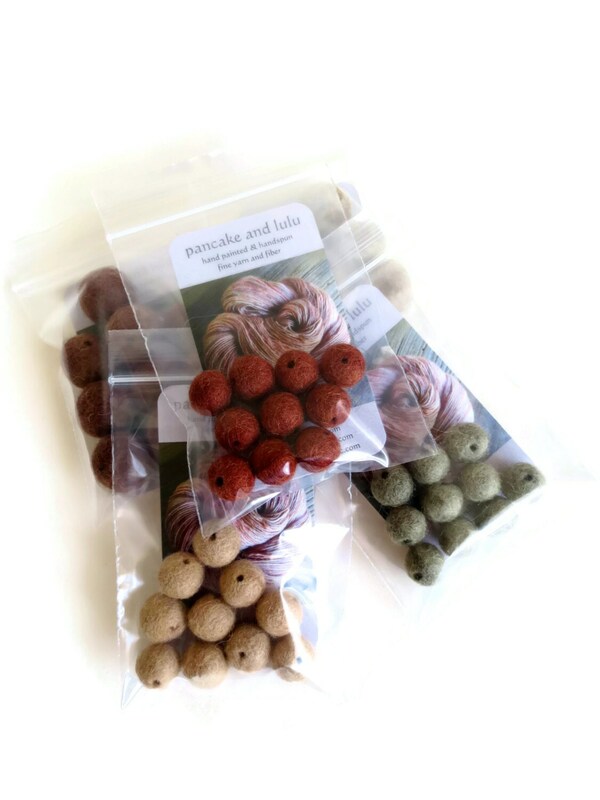 You will receive matching skeins when you order multiple skeins of the same name in a single order. However, if you order skeins with the same color name at different times, on different days, the skeins may not match exactly. It is a good practice to work rows alternating from 2 balls to even out any color variations if that is the look you desire (this is a good technique to use with all hand dyed yarn). And, as with all yarn, it is best to make sure you purchase enough for your project in the beginning. Many of my handspun and hand dyed yarns are created "to order". While I have created careful color recipes, each batch of yarn can vary a little from the original photograph. Please be aware that your yarn may not look *exactly* as in the photograph! 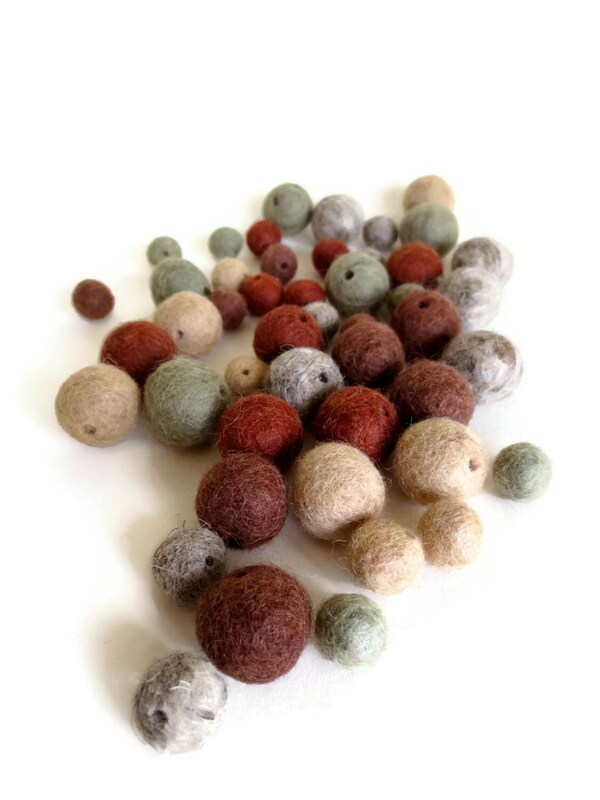 These variations are an intrinsic part of all hand dyed and handmade items. Rest assured, you are free to return or exchange any item (see refund section above) if you are unhappy for any reason with your purchase. The item just needs to be in original condition. Just let me know asap and I will re-do the yarn, you can choose another or I can refund your payment after I receive the return. The sheep that supply us with our wool are 100% non-mulesed. We believe that mulesing is a cruel practice to the animals for the benefit of the wool farmer. 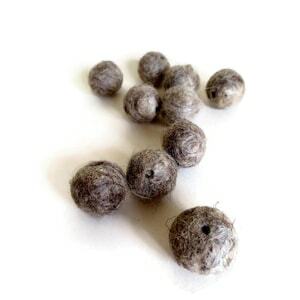 You can be confident that PLY yarn and fiber is mulesing-free. Let me know if your order is a gift. I will leave out the invoice and include your personal message to the recipient. Gift wrapping, for a small fee, is also an option at checkout. Thank you and have a lovely day! !